Omega Phi Alpha’s Bolt for PCOS 5K Run/Walk benefiting PCOS Challenge, Inc. is the largest event in the U.S. dedicated to raising awareness and funds to help fight polycystic ovary syndrome. The Bolt for PCOS 5K Run/Walk was the second major event during PCOS Awareness Weekend 2016 – Atlanta. The event was held on Sunday, September 25th at Georgia Tech and followed the 4th Annual Southern Regional PCOS Awareness Symposium on Saturday, September 24th. 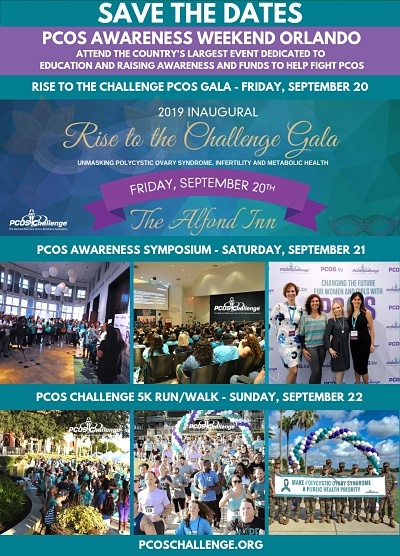 Proceeds from the Bolt for PCOS 5K Run/Walk go toward PCOS health screenings, grants, education, support and research programs through PCOS Challenge, Inc., the leading 501(c)(3) nonprofit organization advancing the cause for women and girls with Polycystic Ovary Syndrome.